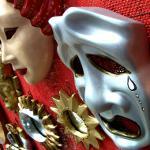 World Theater Day is an international observance celebrated annually on March 27. It was established by the International Theater Institute (ITI) and is supported by UNESCO. The first celebration was held in 1962. ITI is a world organization for the performing arts established in 1948 by theater and dance experts along with UNESCO. The idea of World Theater Day was first proposed in 1962 by Arvi Kivimaa, director of the Finnish ITI Center. The first World Theater Day was held on March 27, 1962, which is the date of the opening of Theater of Nations season in Paris. Every year, the World Theater Day International Message is written by a person who made a significant contribution to performing arts, particularly theater. The author of the very first message was Jean Cocteau, a prominent French playwright and filmmaker. World Theater Day is celebrated by theater community throughout the world. The celebration focuses on the importance of theater as a complex art form which is synthetic by nature, using the creative work of the playwright, director, actors, artists, composers. In musical theater acting is combined with music, song, and dance. On the occasion, numerous performances are held in theaters.